A quick “what I did on my summer vacation” recap. My husband’s parents live in Maryland and most summers we take our summer vacation to visit them at their home. 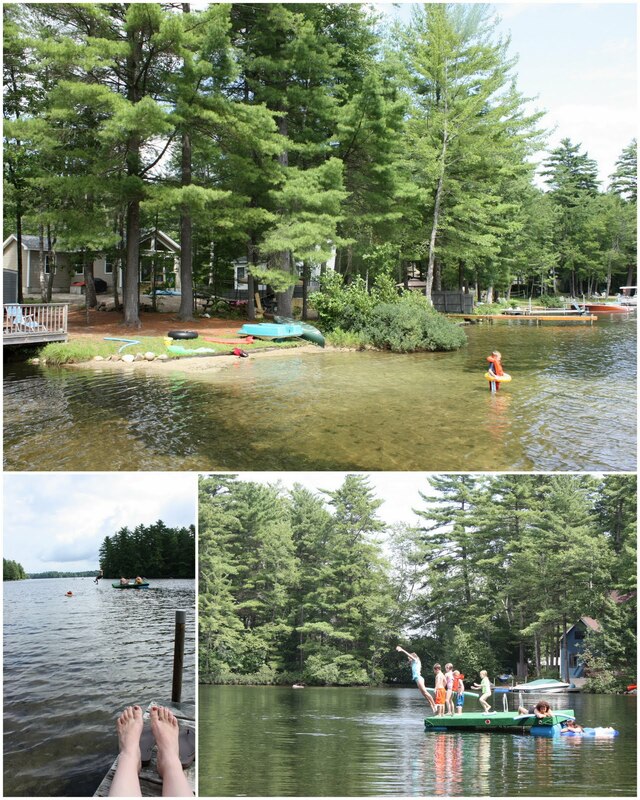 This year they planned a trip to Little Sebago Lake in Maine to visit the rest of the extended family, so we decided to spend time with them there and see the rest of the extended family as well. My husband’s sister and her family came too so the kids had fun cousins to play with as well. Happiness for all. 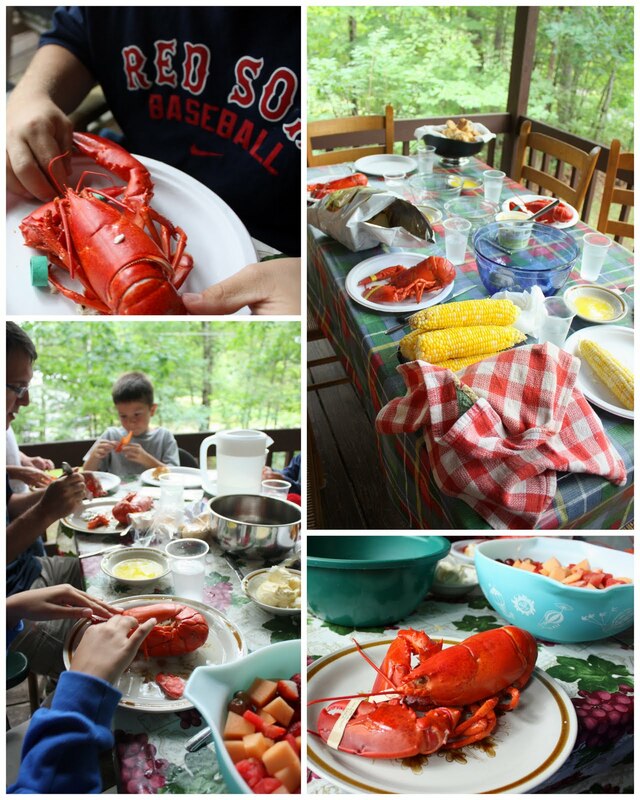 You can’t go to Maine without having a Lobster feast. I think it’s in the constitution for the state of Maine. No arguments here. We had a couple of rainy days and one of them we took a trip into Portland. Portland is a beautiful old city on a wharf. I love driving through Cape Elizabeth to see the Portland Head Lighthouse. While in Portland we did a little bit of family history research. (Have you ever watched the show Who Do You Think You Are where famous people trace their family history and visit some of the locations where their ancestors lived? I love that show. We had some of those moments.) My mother-in-law’s grandparents emigrated from Italy in the early 20th Century and settled in the Portland area. Both of her parents were born in the US but her grandparents were true Italians to the point where they never even really spoke English. She recently wrote a story for my girls about visiting her Italian grandmothers as a child. We decided it would be fun to go find the homes where they lived. We knew one home was there – a little 3 bedroom cape colonial where the family raised 9! children in a neighborhood in South Portland. The other home was a 19th-century appartment building in downtown Portland and we weren’t sure if it would still be there. My mother-in-law gave us the address and described the building and we found it! We also found the church across the street where Rosina Aliberti went to mass every morning. 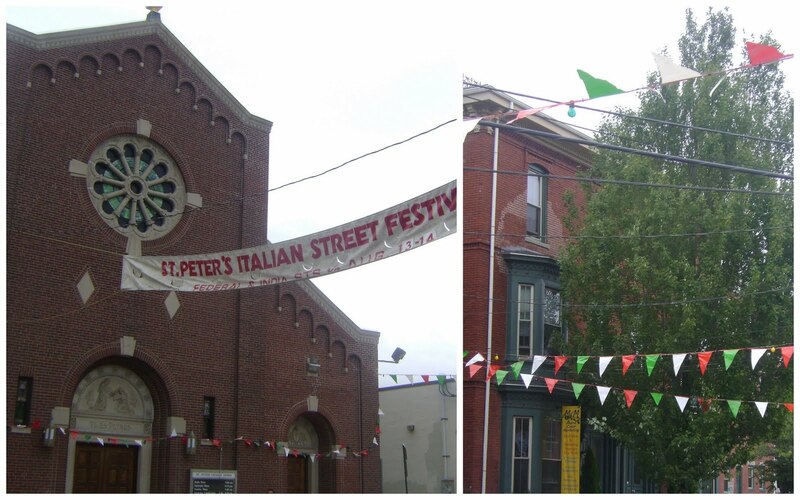 And the best part was that the street was decorated with red, green and white pennants in preparation for the Italian street festival that weekend! It was so fun to feel the Italian flavor of this part of Portland where my husband’s great-grandmother lived and where his grandfather grew up. We loved it! Finally, we also spent a day with extended family in Portsmouth, New Hampshire. I think that Portsmouth is one of my favorite places to visit ever. SO beautiful and picturesque. My husband’s parents are from here and were high school sweethearts at Portsmouth High School. They lived in Portsmouth the first few years that my husband and I were married and we visited them a bunch of times. If you ever plan a trip to New England, visit Portsmouth. Quintessential New England all in one stop. We spent a day at the beach at Newcastle Commons with extended family, including my husband’s grandma – my kids’ great-Nonna. I have the fondest memories of Portsmouth and staying with my husband’s Italian grandparents. His grandfather has since passed away, but we were able to spend time with Nonna and I think she thoroughly enjoyed watching her posterity play at the beach. We wish we could see her more. Also in Portsmouth we drove past one of my favorite homes (picture above) where one of the ancestors of my father-in-law lived. His family has lived in Portsmouth 10-12 generations! This house is on Newcastle island and was started in 1647! I’m always tempted to knock on the door and claim it through the family line. Think they’d turn it over to us? Beautiful places to visit. So a great trip was had by one and all. I wish we could pull it off every summer. But the best part was family. Oh I love Maine!!!! Is that a lake you are staying on? Renting? Always looking for info on where to stay for the day we actually do plan a trip there.<br /><br />Hugs! Oh, you&#39;ve been to my neck of the woods! I live close to Portsmouth. I agree, it&#39;s a beautiful place. Love that part of the county – and to have family there – even better Amy! I love Maine! Thanks for sharing your pictures. I love Maine. We go every winter to ski at Sugarloaf and each time tell ourselves we need to come back in the summer instead! Now Don and I really need to head up the coast…thanks for traveling ideas! ;)<br /><br />Have I ever told you the story of my dad coming over from Italy on the boat? :) It&#39;s a goodie! wish I was there. Did you take notes on where the houses are? I want to go to there. We used to camp at/on Sebago lake every year with a group of teachers that i worked with. Great fun love Maine have relatives in Bangor area. I have only been to a few places in the New England states &amp; Maine is one that I need to visit. My daughter just completed her vacation with her in-laws there &amp; she stated it was wonderful. I do plan on going next year; while visiting a good friend in Manchester NH. It is a beautiful place to vacation. While in Portsmouth, did you get to Portsmouth Fabric Co.? It is one of my favorite places. What beautiful photos! I&#39;ve never been to Maine…but it looks so amazing. Sounds like the perfect vacation! Oh I wanna go! That is awesome that you got to spend time there! I LOVE Maine and wish I could visit more often. Have family in Gray. My uncle lived in South Portland with his family all his life. Hope you feasted on plenty of lobster. What lake were you at? We used to vacation at Casco Lake and Little Sebago. We haven&#39;t been to Portland yet but will have to add it to our list the next time we get to Maine. And of course a lobster fest was part of the trip, it wouldn&#39;t be Maine without it. Though my husband wouldn&#39;t agree; he doesn&#39;t touch the stuff. His loss. I am glad you had a great time in Our beautiful state of Maine. Relaxation is a wonderful and need part of life. <br />Come back soon.<br />And N.H. LOVE it we usually go thru Portsmouth to Hampton Beach. MY husband who has sat in the car with out air conditioning while I run into a fabric store. Actually went into a quilt store in Portsmouth, to get fabric for me. He was there on buisness, I still can&#39;t believe he did it even though it has been eight years. I picture smocked the cutest dresses for my girls.<br />Always wish I could find my way there and go to that quilt store myself. Darn, that lobster looks good! You got me. 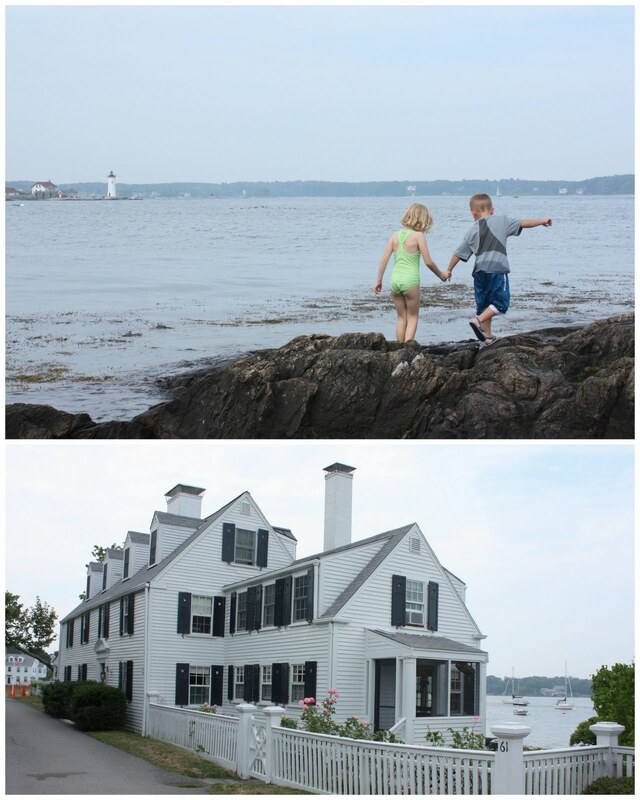 My next vacation has to be to Maine and Hew Hampshire. Looks much like the quaint little towns in England. I think it&#39;s a best kept little secret. What I did on my summer vacation… I am a teacher and this sounds just like a writing prompt I would give my class on the first day of school. <br /><br />How fun to go to Maine. Love those lobsters. Amy, it looks like you had a wonderful time!! your pictures are just gorgeous. we have never stopped in Portland. it looks fantastic.